Greg Philbrook showing the way Kinect can be used to manipulate the molecules in the projection. Work on iSci continues, but we stopped briefly last week to give a demonstration to the Seattle Chamber of Commerce who were visiting SWWA on a two-day tour of various sites where STEM research and activities were taking place. 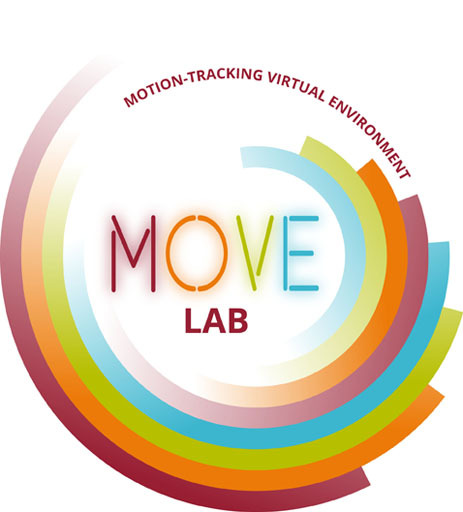 30 people came to the MOVE lab to experience, firsthand, the work we are doing with motion-tracking technologies and virtual environments. 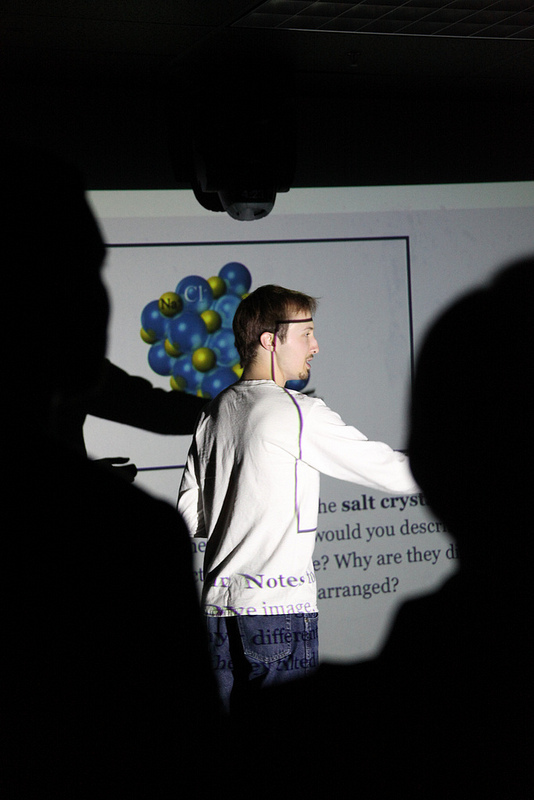 We showed them how that students learning chemistry could, with our project, interact with salt molecules by manipulating the Falcon Controller or waving their hands at the molecules projected in 2.5D on the wall. We have already produced projects like iSci for humanities and arts based learning experiences. iSci marks the first STEM-based one we have produced and it marks the first that involves an AppBook.